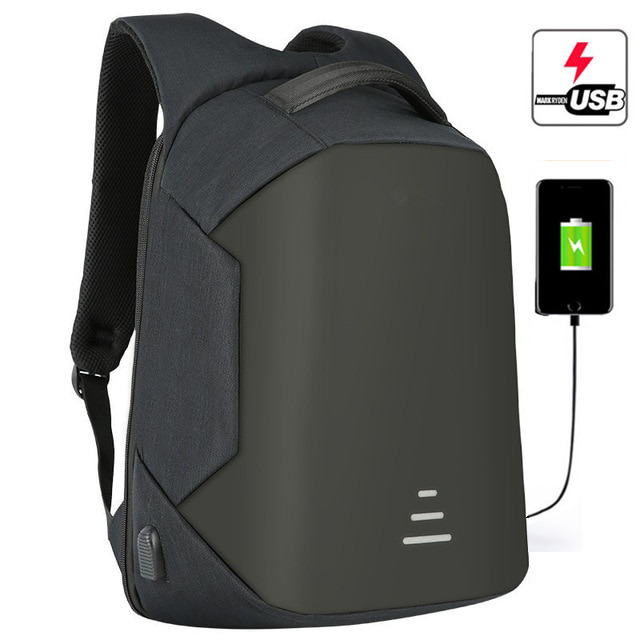 Anti-Theft Backpack with USB Charging Port & Cable. It has foamy slots for laptop and tablet, its front, top and sides are water resistant. or Inbox us your details.